That is SO gorgeous, and such a great meaning. Awesome. 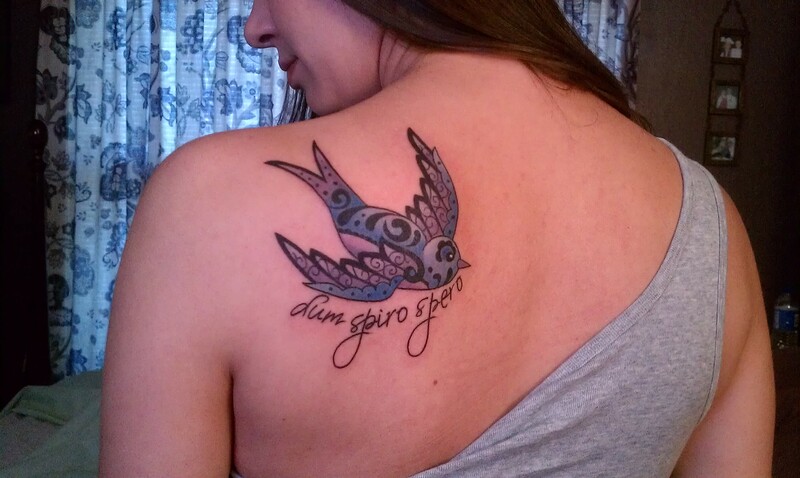 It’s beautiful and has such wonderful meaning! I am obviously behind – you already got it! It is seriously gorg. I love the writing and the artistic treatment of the swallow. 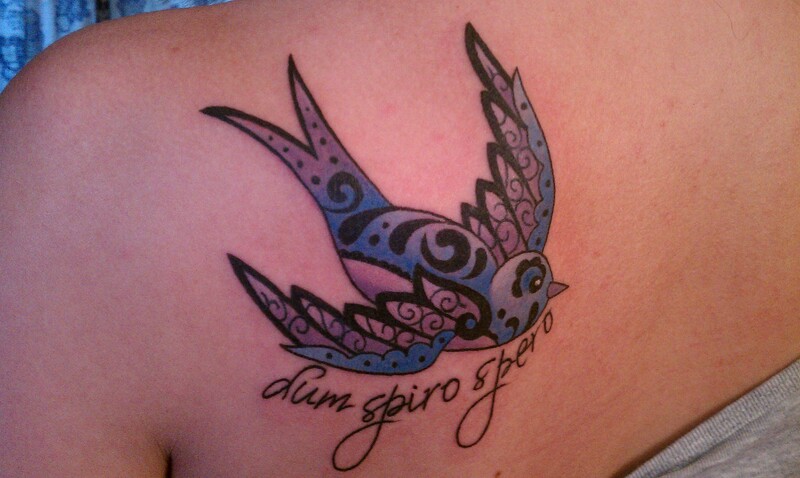 Swallows also represent fertility and freedom! It’s really perfect. Congratulations! I am thrilled with how this turned out, and once I get past the itchy, flaky stage I’m currently suffering through, I will be rocking this bad boy all over town! Wow….everything about this is just awesome and perfect. It was my families motto long ways up the bloodline..I’m still trynna figure what it meant to them.. I’ll most likely never know but just thinking of the meaning in my own opinion is beautiful, and it helps throughout the day when my mind becomes cloudy! !